Our number-one best-selling fudge flavor: None other than pure Chocolate! In the unforgettable words of Bob Marley and The Wailers, our team at Original Murdick’s Fudge is once again stirring it up, little darling. Our candymakers are back at it for Mackinac Island’s 2018 season and are knee-deep in stirring up deliciousness. 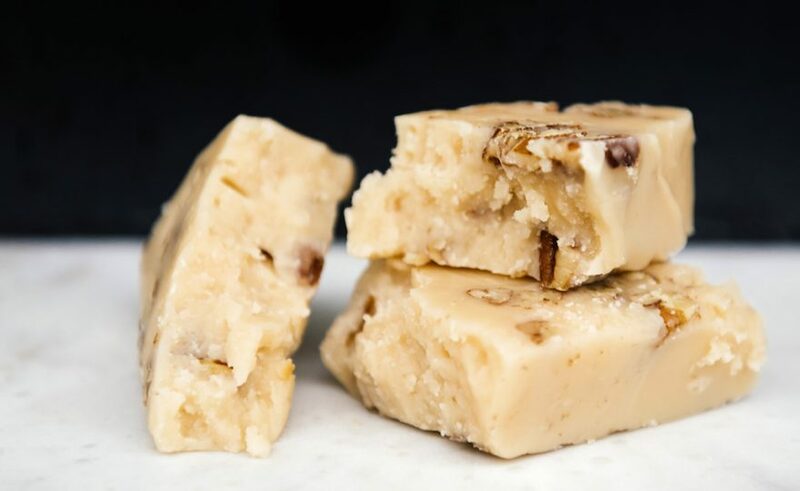 We’re always excited about the 20-plus fudge flavors we’ve fine-tuned over the years that range from Vanilla to Traverse City Cherry to Chocolate Macadamia Nut. Our special zests — like mint, coconut and espresso — are just the tickets for making our many flavors sing from copper kettle to marble slab to candy box to your mouth! We’ve discovered that, once again, the king of our Mackinac Island fresh fudge flavors reigns supreme! That would be our good ol’ CHOCOLATE made fresh daily on Mackinac Island and at our fudge shops in Mackinaw City and St. Ignace. Who can resist a dense hit of straight chocolate and that lingering finish? Yum! Our Double Chocolate Caramel Sea Salt slices are all lined up and await a sprinkling of sea salt for the finishing touch! 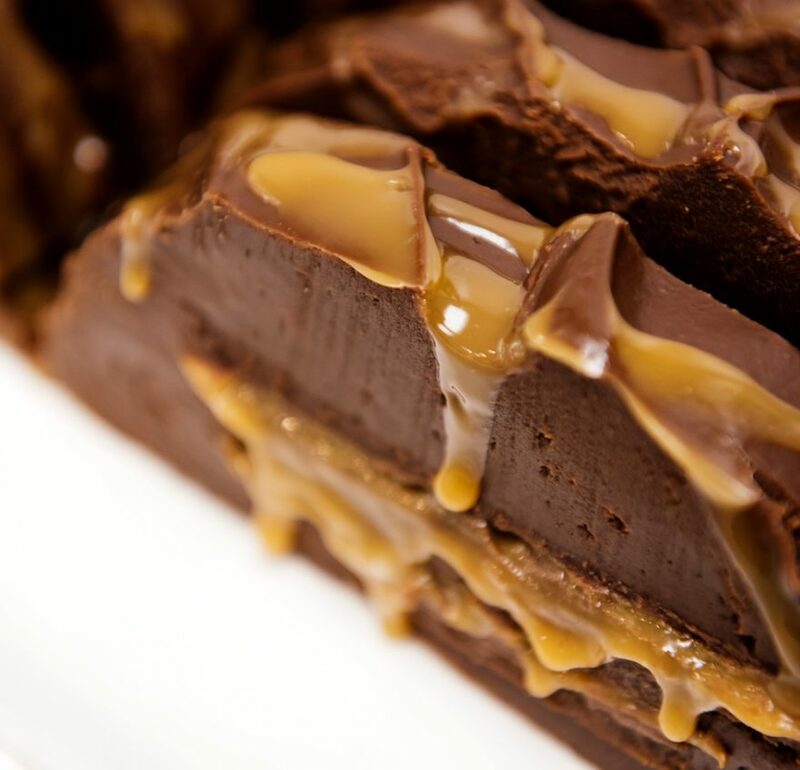 Next up on the popularity list, coming in at number two, is our DOUBLE CHOCOLATE CARAMEL SEA SALT. That perfect mix of sweet and salty is perhaps one of the culinary world’s most delish pairings. PB and Choc … is there anything better? 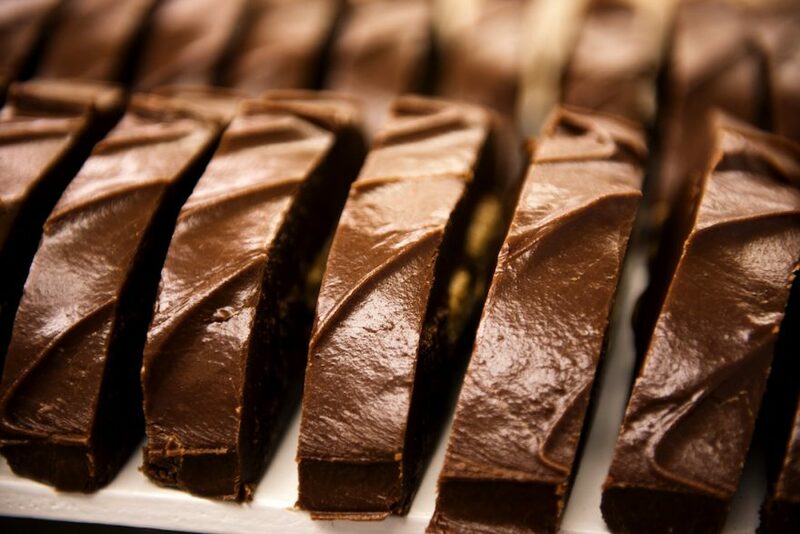 Our Chocolate Peanut Butter fudge is a fan fave. Our third favored flavor? Here’s a hint: Consider why the simple Reese’s Peanut Butter Cup has become a candy legend. You got it — CHOCOLATE PEANUT BUTTER ranks high on our list of all–time faves. 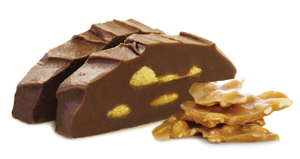 Order up some nutty Turtle fudge and you’ll be in keeping with the island tradition of the turtle! 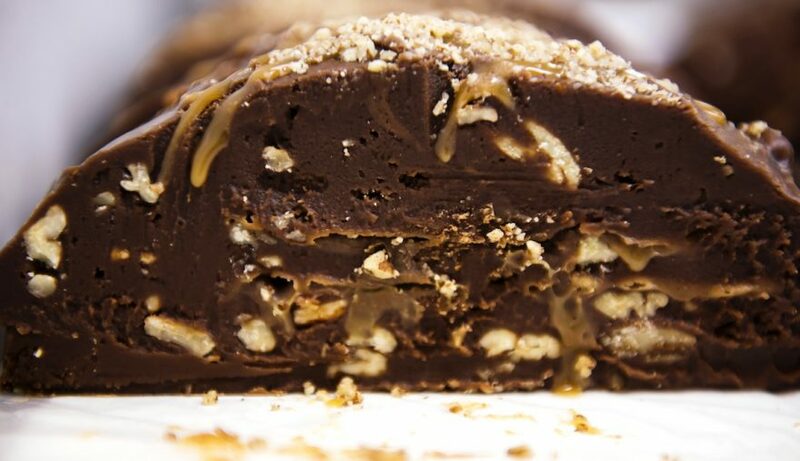 But back to TURTLE fudge … when chopped pecans meld with sticky caramel and our coveted chocolate base, you get nirvana. Pure paradise. Oh, the buttery creaminess of it all! Our Butter Pecan ranks in our top five as a must-try! Next up in the top five is our beloved BUTTER PECAN. Its claim to fame? A bit of crunch from toasty pecans mingles with notes of brown butter and the yummy essence of vanilla. So there you have it. 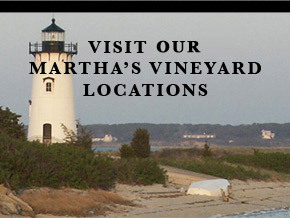 Can’t decide among our 20-plus flavors on your next visit to the island? Consider one (OR ALL) of these! And if you’re not island-bound, we ship deliciousness throughout the U.S. We make fresh fudge daily and await your order or next visit to our Mackinac Island, St. Ignace or Mackinaw City fudge shops. 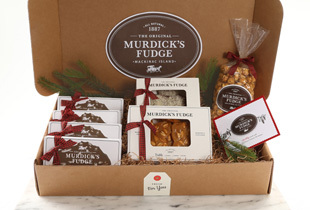 We look forward to sharing our sweet Mackinac Island fudge with you soon! Tell us what your favorite flavor is and why in the comments box below. My favorite flavor is chocolate peanut butter – such a classic, quintessential flavor combination, made even more decadent in fudge form. I loooove Maple nut fudge. The flavor is SO pure and sweet. Straight from the trees in Vermont. I would love a maple pecan flavor! Wouldn’t that be awesome? My next favorite is plain Peanut butter. Yum! 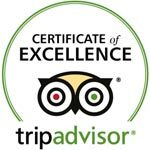 Thank you all for making such an exceptional product! I purchased a year of fudge for my Dad’s 90th birthday. 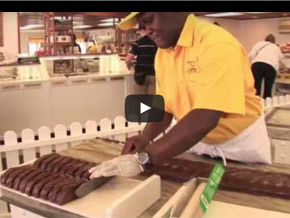 He makes his own homemade fudge, but says yours is definitely the best! He is really enjoy the monthly shipments and I will purchase it for him again next year. I’m anxious to try some of your new flavors. Just got out of the hospital so I can’t order right now, but I will as soon as I can ! Chocolate, chocolate, chocolate!!!! Smooth, creamy, scrumptious chocolate!!!! The chocolate espresso flavor gave me an out of body experience.